Union Minister Ram Vilas Paswan. Express Photo by Renuka Puri. 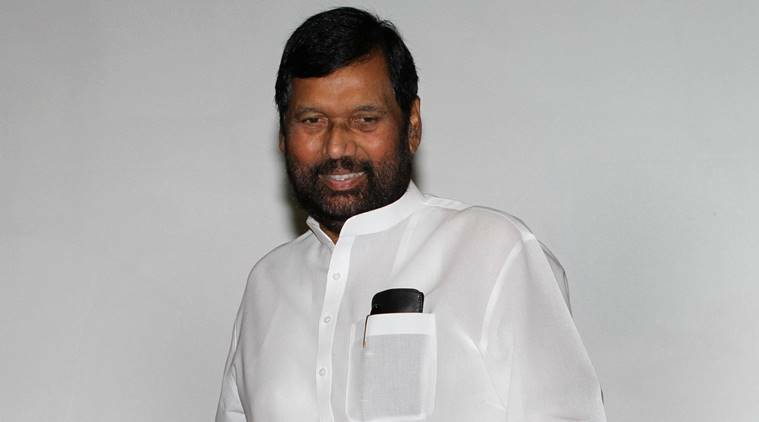 Union minister Ram Vilas Paswan has expressed concern over the low wages of ‘anganwadi’ workers and demanded that they be raised to the level of minimum salary existing in the states where they are employed. Paswan noted that a large number of these workers come from poor economic background and many of them were from scheduled castes and tribes, a statement said. Their present wages are nearly Rs 3,000, which is very low, he said. They should be given the minimum salary fixed in the state where they render their services, Paswan said. Anganwadi is a type of mother and child care centre. They were started by the Indian government in 1985 as part of the integrated child development services programme to combat child hunger and malnutrition. He made the suggestions to ‘Niti Aayog’ at a function on Wednesday during which challenges facing good nutrition for children were discussed.